These are 2 Fluted High Helix End Mills with high helix specially for aluminum machining which gives excellent finish and also can be operated at higher parameters. For machining of Titanium, Mnemonic Materials, and other aerospace materials maching, introduced with special geometry designed tools to withstand these tougher applications. 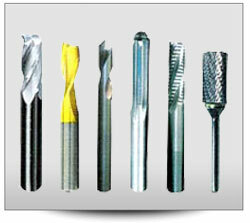 Suitable for machining steel, high temperature alloys steels / die & mould, titanium alloys specially designed geometry. 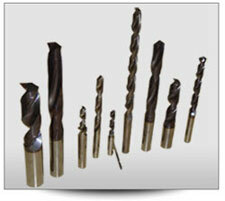 -Endmill specially with corner radius for optimum performance. 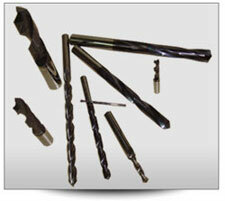 These are predominantly for shaft key way milling application on steel / stainless work material. 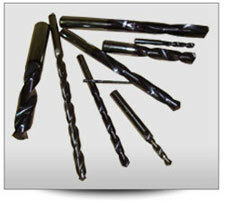 The tool has been specially designed with new geometry for this application. These are available with special coatings. The tool has on many occasions out performed competing brands by 2 times there by saving substantial tooling cost and also higher productivity.